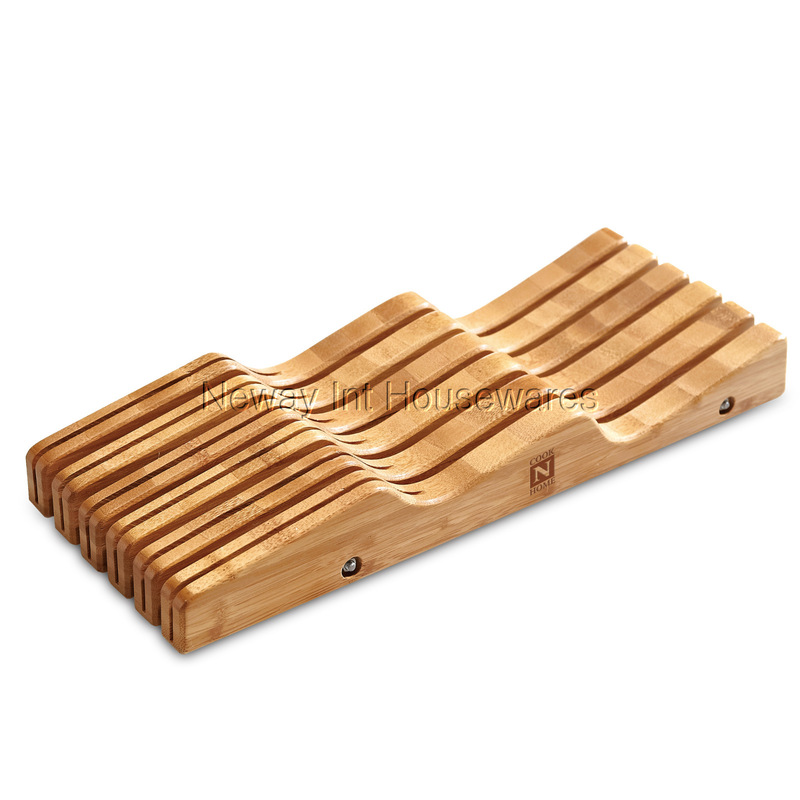 The Cook N Home Bamboo Knife Storage In-Drawer Block, 11 Slot is made of natural bamboo that is durable and looks great. 11 slot storage holds most commonly used knives up to 16 inches long. Block can be placed in drawer up to 3 inch depth to save space. Wave design makes knives easy to handle. Measures: 16.5 in. length, 2 in. height, and 6 in. width. Wipe with cloth to clean.